combien de longueur "jauge à huile moteur"? 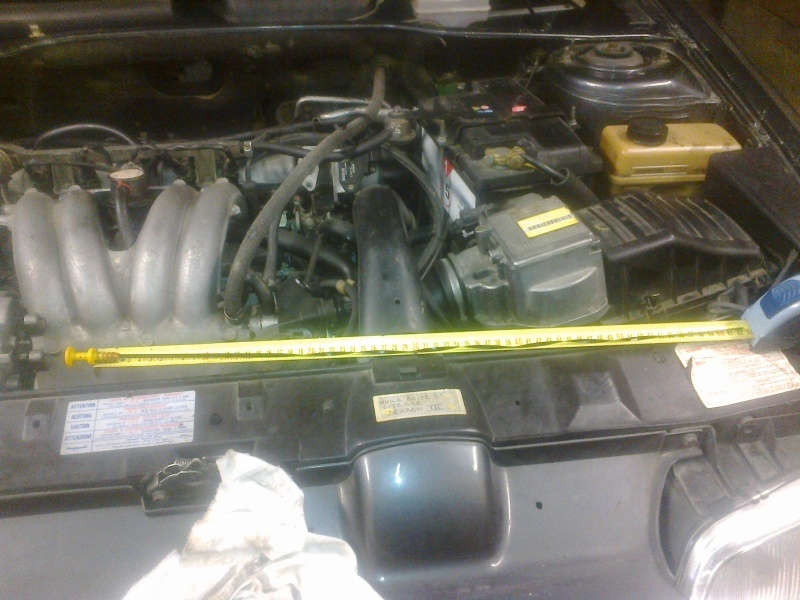 Je possède / I have "Peugeot 405 I (15B) 1.9 88kW 120PS (1988-1992)"
how long is the original oil dipstick? I need a new one. 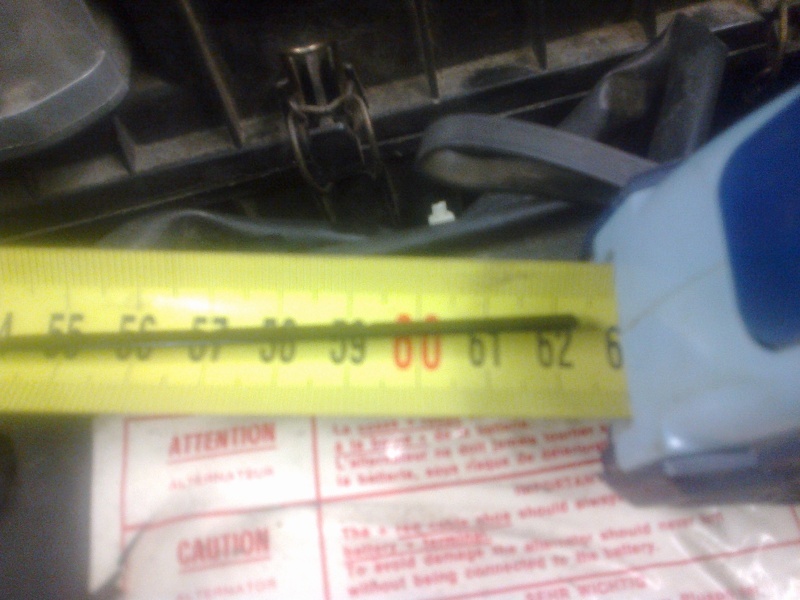 On ebay are a lot of oil dipsticks for Peugeot 405. 517mm, 520mm, 560mm, 620mm. Wich one is the right one? I think its 620mm. Or is it maybe 615mm, 625mm or something like that? Looks bad with that tape. I know. That's the reason why I need a new one. Here you can see how it originally looked like. The red one on the top. 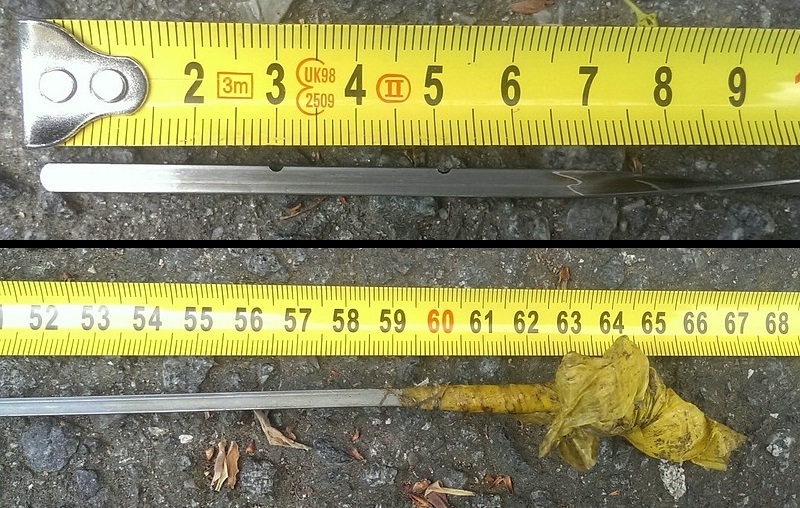 Mes photos ne sont pas terribles, mais la longueur est de 62,2 cms. 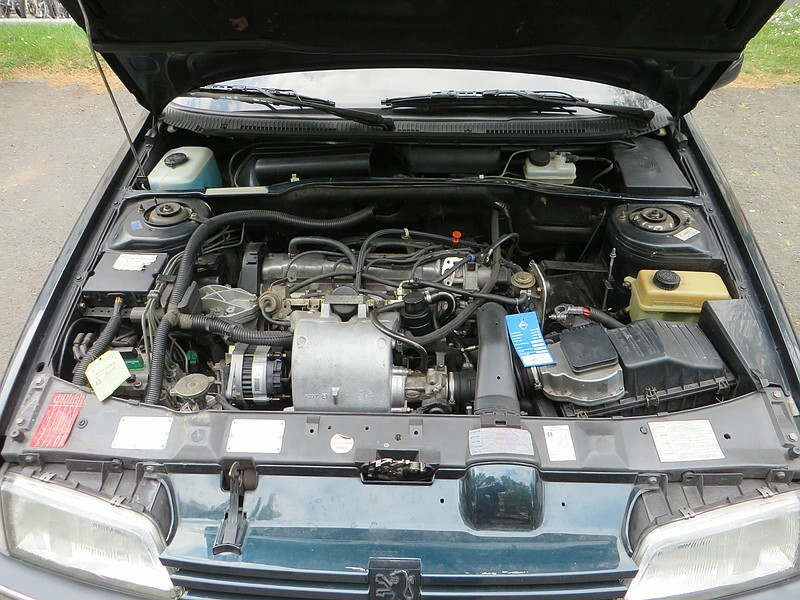 Vous vehicule aussi Peugeot 405 I 15B? Oui ===> 405 SRI / 21 août 1989 / phase 1 / 1905cc / 125ch / 9cv / XU9J2 / 15BD64 . Une grande aide, merci beaucoup.